Grajek, Susan and the 2017-2018 EDUCAUSE IT Issues Panel. 2018. “Top 10 IT Issues, 2018: The Remaking of Higher Education.” EDUCAUSE Review. January 29. Clemmons, Raechelle. 2017. “Information or Innovation? The Emerging Role of Postsecondary CIOs.” The EvoLLLution. January 19. Clemmons, Raechelle. 2015. “Faculty and IT Partnerships That Work.” EdTech: Focus on Higher Education. February 17. Clemmons, Raechelle. 2014. “Are MOOCs the great equalizer?” Green Bay Press Gazette. December 23. Clemmons, Raechelle. 2014. “‘Wearables’ likely to be on high-tech gift list.” Green Bay Press Gazette. November 25. Clemmons, Raechelle. 2014. “In My Words/Season of Change.” St. Norbert College Magazine. November 13. Clemmons, Raechelle. 2014. “Technology’s impact on higher education.” Green Bay Press Gazette. October 22. Clemmons, Raechelle. 2014. “‘Online security’ need not be an oxymoron.” Green Bay Press Gazette. September 23. Republished in EDUCAUSE Review Online, Policy Spotlight, October 2, 2014. Clemmons, Raechelle. 2014. “Net neutrality implications wide ranging.” Green Bay Press Gazette. August 26. Clemmons, Raechelle. 2014. “Laptop or tablet? It depends.” Green Bay Press Gazette. July 23. Clemmons, Raechelle. 2014. “Twitter, the web redefine ‘being social’.” Green Bay Press Gazette. June 24. Clemmons, Raechelle. 2014. “Technology can be used to connect, not isolate, us.” Green Bay Press Gazette. May 27. Clemmons, Raechelle. 2014. “Creating a strong, secure password.” Green Bay Press Gazette. April 22. Berman, Michael, Raechelle Clemmons, Kyle Johnson, Keith McIntosh, and Melissa Woo. 2014. “Challenge Accepted! Why CIO Is the Best Job on Campus.” EDUCAUSE Review Online. April 21. Clemmons, Raechelle. 2014. “Schools get more high-tech each day.” Green Bay Press Gazette. March 25. Clemmons, Raechelle. 2014. “From high-tech startups to college CIO.” Green Bay Press Gazette. February 25. Clemmons, Raechelle. 2014. “How IT Departments Can Partner with the Board of Trustees.” EdTech: Focus on Higher Education. February 10. Clemmons, Raechelle. 2013. “Technology, Instruction and the 21st Century Classroom.” EdTech: Focus on Higher Education. May 2. Clemmons, Raechelle. 2013. “Classroom Technology: Upgrading campus technology to support today’s teaching and learning approaches.” CDW-G Reference Guide. May. Clemmons, Raechelle. 2013. “These 6 Devices Make Up the College Computing Landscape.” EdTech: Focus on Higher Education. April 18. McCabe, Deborah B., Jan Jindra, and Raechelle Clemmons. 2012. “iPads in the Classroom: The Future of Education or the Latest Fad?” in Marketing Education: Experiencing New Frontiers, eds., Ed Petkus, Jr. and Deborah Brown McCabe. Marketing Educators Association. Clemmons, Raechelle. 2012. “Telling It Like It Is — 10 VDI Lessons from the Real World.” VMware End User Computing Blog. March 5. Clemmons, Raechelle. 2011. “Out on a Limb with Virtual Desktops – What’s in it for You?” VMware End User Computing Blog. August 22. Clemmons, Raechelle. 2011. “Alternative Sourcing Strategies at Menlo College.” EDUCAUSE Quarterly, vol. 32, no. 2. Clemmons, Raechelle. 2011. “VDI Right on the Money.” VMware End User Computing Blog. June 8. Clemmons, Raechelle. 2011. “Costs, timeframes, payoffs for virtual desktops.” Enterprise CIO Forum. May 17. Clemmons, Raechelle. 2011. “Navigating the Virtual Desktop Challenge.” Enterprise CIO Forum. May 11. Hager, Mark J. and Raechelle Clemmons. 2010. “Faculty and IT: Conversations and Collaboration.” EDUCAUSE Review, vol. 45, no. 2 (March/April): 58-59. Daniel, Fran. 2018. “Flywheel expands into Davidson College.” Winston-Salem Journal. March 9. Seaman, Jessica. 2018. “Winston-Salem co-working company extending its reach outside Triad.” Triad Business Journal. March 5. Davidson College. 2018. “Venture Philanthropy: $5 Million Commitment Propels Innovation and Entrepreneurship Hub.” February 26. Ridell, Roger. 2017. “How did 3 higher ed CIOs reimagine their institutions’ IT organization? [Educause 2017].” EducationDive. November 8. Hikey, Alex. 2017. “10 CIOs and CTOs to follow on Twitter.” CIODive. November 6. Burns, Hilary. 2017. “Davidson CIO mixes entrepreneurialism with liberal arts.” Bizwomen, Cincinnati Business Courier. July 5. Burns, Hilary. 2017. “How Davidson’s CIO is championing entrepreneurialism in a liberal arts setting.” Charlotte Business Journal. June 28. Eide, Naomi. 2017. “A CIO’s role in 2017: Keep the lights on while planning for the future.” CIODive. January 18. Ridell, Roger. 2016. “4 CIOs share higher ed tech predictions for 2017.” EducationDive. December 26. Davidson College. 2016. “Richtopia.com: CIO Raechelle Clemmons Named to Top 100.” December 19. Riddell, Roger and Naomi Eide. 2016. “8 CIOs share campus IT horror stories.” EducationDIVE. October 26. Riddell, Roger and Naomi Eide. 2016. “9 CIOs share why they chose higher education over private sector.” EducationDIVE. October 12. Riddell, Roger and Naomi Eide. 2016. “Legacy upended: Higher ed CIOs look to modernize campus systems.” EducationDIVE. September 29. Riddell, Roger. 2016. “What 6 higher ed CIOs wish they knew their first day on the job.” EducationDIVE. September 14. Riddell, Roger and Naomi Eide. 2016. “For higher ed CIOs navigating tight budgets, relationships matter most.” EducationDIVE. September 8. Goldrick, Thomas. 2016. “Top 8 Higher Ed CIO Trends of 2016.” Optimal Partners. August 30. Riddell, Roger. 2016. “Higher ed CIOs share campus tech predictions for 2016.” EducationDIVE. January 6. Davidson College. 2015. “College Bolsters Information Technology Efforts, Hires CIO.” December 7. Riddell, Roger. 2015. “4 ways CIOs can lead change on campus [Educause 2015].” EducationDIVE. November 2. Crest, Eric. 2015. Loaded with Secrets.” NBC26. October 27. Riddell, Roger. 2015. “EAB: Tracking outcomes top of mind in online, professional ed.” EducationDIVE. June 9. Mays, Gabrielle. 2015. “Smartphone app replacing room key at local hotel.” Fox 11 News. May 5. Seltzer, Renee. 2015. “Higher Ed Influencers.” #TribecaTrending. May 1. Mays, Gabrielle. 2015. “Technology changing the way we tell time.” Fox 11 News. April 24. Floyd, Renee. 2015. “Higher Ed CIOs Explain How IT Helps Students Succeed.” Laserfiche ECM Blog. January. Afshar, Vala. 2015. “The Top 100 Most Social CIOs on Twitter 2015 [Slide Deck].” The Huffington Post. January 16. Riddell, Roger. 2014. “Does it pay to be a social CIO? [Educause 2014]” EducationDIVE. October 7. Riddell, Roger. 2014. “4 reasons CIO is the best job on campus [Educause 2014]” EducationDIVE. October 6. Buck, Tara. 2014. “EDUCAUSE 2014: Fostering IT/Faculty Collaboration.” EdTech: Focus on Higher Education. September 30. Buck, Tara. 2014. “EDUCAUSE 2014: Learning Through Any Device.” EdTech: Focus on Higher Education September 30. Buck, Tara. 2014. “EDUCAUSE 2014: Is Big Data There Yet?” EdTech: Focus on Higher Education. September 30. Laserfiche. 2014. 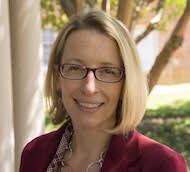 “3 Questions With Higher Ed CIO Raechelle Clemmons.” Simplicity 2.0. September 17. Bharti, Prasanna. 2014. “Amazing Blogs to Stay Updated About EdTech in Higher Ed.” EdTechReview. July 2. Caines, Autumm. 2o14. “History of Women in EdTech – Part 6: Specific Technologies.” EdTechWomen. June 9. Caines, Autumm. 2o14. “History of Women in EdTech – Part 5: Practice Featuring Raechelle Clemmons.” EdTechWomen. May 27. MediaCore. 2014. “The Top 20 Higher Ed EdTech Blogs 2014.” April. Strandberg, Lisa. 2014. “SNC Learns.” St. Norbert College Magazine. March 31. Afshar, Vala. 2014. “The Top 100 Most Social CIOs on Twitter 2014.” The Huffington Post. March 25. Quinn, Kevin, host. 2014. “Conversations from St. Norbert College featuring Rae Clemmons.” St. Norbert College. March 24. Hanover Research. 2014. “Higher Education Market Leadership: A look at how higher education institutions used research across 2013 to make high-impact decisions.” February. Daly, Jimmy. 2013. “The 10 Most Popular Higher Education Tech Posts of 2013.” EdTech: Focus on Higher Education. December 26. EDUCAUSE. 2013. “The CIO Minute: Raechelle Clemmons.” EDUCAUSE Review Online. December 6. Davis, Alexis. 2013. “110 People (and Counting) to Follow At EDUCAUSE 2013.” EdTech: Focus on Higher Education. October 15. Afshar, Vala. 2013. “The Top 50 Most Social CIOs In Higher Education.” The Huffington Post. October 10. Fliegler, Caryn Meyers. 2013. “CIOs Speak Out on Bandwith, Malware, File Sharing.” University Business. May 29. Daly, Jimmy. 2013. “The 2013 Dean’s List: 50 Must-Read Higher Education Technology Blogs.” EdTech: Focus on Higher Education. April 29. Allen, Susan, ed. 2013. “New CIO Syncs High Tech and Higher Ed.” St. Norbert College Magazine. March 27. Daly, Jimmy. 2013. “The 13 Most Social Higher Education CIOs on Twitter.” EdTech: Focus on Higher Education. January 23. Afshar, Vala. 2013. “The 50 Most Social CIOs on Twitter (and 20 Rising Stars).” The Huffington Post. January 16. Zaino, Jennifer. 2012. “Zero Clients with PCoIP Chips Deliver Virtual Desktop Experience.” EdTech: Focus on Higher Education. April 20. CDW-G White Paper. 2012. “Bring Your Own Device: Adapting to the flood of personal mobile computing devices accessing campus networks.” EdTech: Focus on Higher Education. February. Video Reports from 2011 EDUCAUSE Conference in Philadelphia. 2011. “Tech-Infused Instruction.” EdTech: Focus on Higher Education. October 20. Video Reports from 2011 EDUCAUSE Conference in Philadelphia. 2011. “Security for All.” EdTech: Focus on Higher Education. October 20. Video Reports from 2011 EDUCAUSE Conference in Philadelphia. 2011. “Slow Moving Clouds.” EdTech: Focus on Higher Education. October 20. Video Reports from 2011 EDUCAUSE Conference in Philadelphia. 2011. “Why BYOT Makes Sense.” EdTech: Focus on Higher Education. October 20. Menlo College. 2011. “Raising Awareness of Cyber Security.” Menlo College News. October 19. Schwartz, Karen D. 2011. “The Path to VDI.” EdTech: Focus on Higher Education, vol. 7, no. 3 (September/October): 32-35. Menlo College. 2011. “The Campus Gets a Major Tech Upgrade.” Menlo College News. September 6. Menlo College. 2011. “Guide to Social Media at Menlo.” Menlo College News. August 25. Ramaswami, Rama. 2011. “Soft Where? Licensing Struggles in a Virtual World.” Campus Technology. July 1. PRWeb. 2011. “Menlo College Implements Virtual Desktops for all Use Cases at Virtually the Same Cost as Physical PCs with Unidesk and VMware.” SFGate Press Releases. May 10. Menlo College. 2011. “CIO Raechelle Clemmons, Tech Mentor.” Menlo College News. January 18. California State University East Bay. 2008. “University Web rebuild project launches first phase.” CSUEB News Archive. August 29. 2002. “Sales Lead Generation Email Test — Do Short Registration Forms Really Work Better Than Long Forms?” MarketingSherpa. July 10.